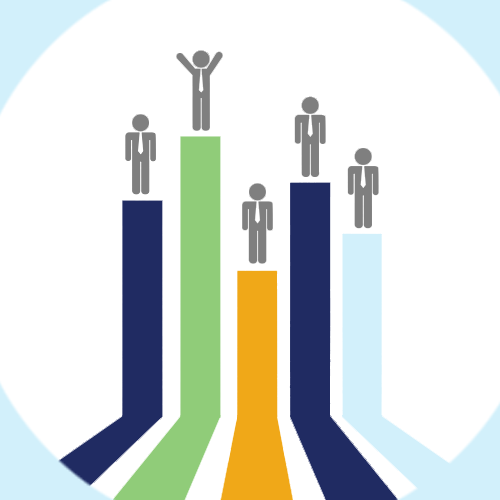 Your sales team has a mix of skillsets and experience levels. Some are really great at connecting with customers, but others lack self-confidence and may underperform. Likewise, some reps are really confident and think they know what they’re doing, but don’t. With reps at so many different career stages, it’s important to find a solution that works for all of them. Luckily, building confidence and competence go hand in hand. Confident sales reps are more likely to make a strong connection with customers, which of course leads to greater success. This may seem like an odd analogy, but just for a moment, think of your reps as your children. You have four: the golden child, an over-confident toddler, an insecure teenager, and a newborn baby. They’re all at different stages in their life, growing at different rates with unique strengths and weaknesses. Ah, the golden child. The perfect little angel who can do no wrong. This is your top performing sales rep. The one who exudes confidence, but doesn’t boast; articulates the product without understating its value; and makes the sale with poise and finesse. Fortunately, you won’t have to do much coaching with this rep. But don’t let them forget, there’s always room for improvement. Like an eager toddler learning to walk, your sales rep is incredibly confident. Yet they lack the actual skills to sell their products. They think they know everything there is to know, but when they’re out in the field, they fall flat on their face. So while it’s great this rep has high self-esteem and is willing to take risks, some serious skill-building may be in order. Remember those awkward teenage years full of braces, acne, and uncomfortable dates? We all felt a little insecure about our image and how we’d be judged by our peers. The insecure teenager is a lot like some of your sales reps. They are already good at what they do, but lack the confidence to actually sell their products. CEO of Let’s Grow Leaders, Karin Hurt, suggests these seven tips to help build your employees’ self-confidence. This person is your new hire. They started just a few weeks ago, so this person typically doesn’t have the confidence or experience to effectively sell their products yet. But with time, and lots of coaching and development, they’ll build their skillset and become more confident in their selling ability. Moreover, make employee onboarding memorable in a good way. With all different types of employees, how do you address each of their individual needs? We recommend incorporating a training curriculum that caters to people of all confidence and skill levels. The training should be adaptive to find and fill each rep’s unique knowledge gaps as they progress. To do this, training should include self-assessment or diagnostic tools that allow you to spot strong and weak performers and identify coaching opportunities. For example, reps could begin with a brief assessment that lets them rank their confidence in certain skill areas. As they progress through the training, their actual performance could be compared against the original confidence ratings. Post training, include some type of reinforcement tool that provides feedback for your reps. We often find that a gamified reinforcement and coaching tool gives reps an edge in selling their products. Make it possible for reps – and their sales managers – to access analytics that show them how well they are performing, what areas they may need coaching on, and where their actual performance may be higher or lower than their stated confidence levels. Once you diagnose the issue, whether it’s a lack of self-confidence or competence, you can start building towards a team of more fearless, successful sales reps.
Have you ever heard the phrase, “Those who can, do; those who can’t do, teach”? If you’re a sales manager, you’re living proof that this is often far from the truth. Lots of companies take their top performing sales reps and turn them into sales managers at some point in their careers. These new sales managers have to then transition their role from the doer (selling products) to the teacher and coach (managing sales reps). It’s not always an easy transition. Many sales managers are dealing with teams that are too large for one individual to provide meaningful coaching and mentoring for all. While their tenure and selling skills give these managers credibility, this cannot make up for a simple lack of availability. The solution? Give reps the tools and technology to assess their own performance. If you have a Fitbit or other fitness tracker, you are familiar with the concept of a dashboard that tracks your fitness goals and progress. It’s like your own personal coach, reminding you when you need to walk more, tracking your heart rate and sleep patterns, etc. The latest wave of sales enablement tools hitting the market allow reps to build their skills and knowledge independently and receive meaningful feedback that helps them improve their performance. Self assessment can’t replace coaching and mentoring entirely, but it’s a step in the right direction. Many sales managers struggle to transition from selling to management because they haven’t developed the new skill set they need. Some people are naturally good at coaching others. But for most of us, coaching takes practice and patience. It’s far better to assume sales reps that get promoted to sales managers are not going to be effective coaches right off the bat. It takes time to replace that competitive selling mentality with a more constructive coaching mentality. Sales training is a big budget, high visibility endeavor in many organizations. It’s easy to see the role a sales rep plays in making a new product launch successful, but less easy to see what the sales manager needs to succeed. The training support of sales managers needs to be carefully considered. The goal should be to turn sales managers into empowered coaches by implementing a comprehensive training program that includes opportunities to practice and get meaningful feedback. When sales reps are out in the field all day, it’s hard to coach them without that face-to-face interaction on a regular basis. Finding the time to sit down with sales reps and give feedback can be challenging. And when sales reps do get feedback, sometimes the only feedback they get is whether or not they’re winning or losing their sales. The attitudes and aptitudes that are driving those results, good or bad, are largely ignored. 1. Create performance rubrics and coaching guides that reflect the realities of the work environment. Design the coaching experience to fit within the workflow of the sales manager and the sales rep. Don’t over-engineer it and clarify how and where coaching fits into the workflow. 2. Provide annotated examples of good and bad. Let sales managers see both extremes, and then create self-evaluation tools that enable them to rate themselves against these standards of good and bad. Make it easy for managers to self-reflect. 3. Assist sales managers in figuring out what reps need coaching on. Use automated reinforcement tools that help reinforce key skills and provide managers with detailed feedback on what employees do and do not know and know how to do. Knowledge Guru is one such tool; others exist as well. 4. Reward managers for coaching. People will do what they are rewarded for doing. If coaching isn’t valued and acknowledged as important to the organization, it will not happen. New sales enablement products and platforms seem to pop out of the woodwork every day. They all promise essentially the same things: that they will help sales reps articulate value, stay on message, close more deals and stick around longer. But what about sales managers? In the marketplace as in the workplace, they can be a bit of an afterthought. 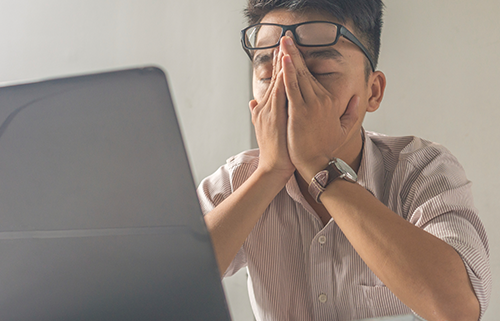 Never mind the fact that sales managers must monitor goals and metrics, help reps hit targets, manage deadlines, and make sure reps are following the proper sales process. In addition, managers must put people over process and make time for things like coaching, mentoring, training and creating a positive team culture. 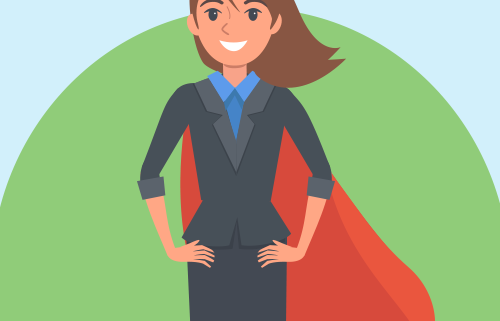 A great sales manager can be the difference between a high performing rep staying or going. They can also be the difference between an average performer moving forward, backward or walking out the door entirely. With all that said, lets set the sales reps aside for at least one blog post. 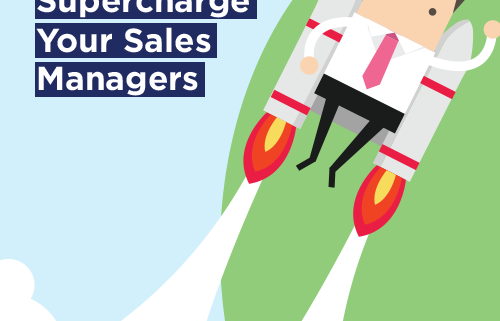 Let’s talk about strategies that will (pardon the hyperbole) supercharge your sales managers. The training sales reps receive is much more likely be effective if sales managers reinforce it. But what if the training stinks to begin with? Many organizations spend time perfecting their competency models, then fail to provide training that is designed to optimize the learning experience and help reps actually perform those competencies. If we expect sales managers to support and reinforce this training, we can make their jobs easier by making the training better. Sales managers already have too much data to look at. The CRM is full of it and it can be hard to find the most meaningful metrics. When it comes to supporting the professional development of sales reps, there are far fewer metrics to pull. Most training only tracks completion, and most it can be hard to observe sales reps enough to see behavior change without coming off as Big Brother. Make sure at least some of your sales enablement and training tools measure knowledge acquisition and retention. For example, the ability to see a specific learning objective that sales reps are struggling with can help managers provide support on the right topics to the right people. How many sales reps are your managers responsible for coaching? No matter what the number is, there are still only 24 hours in a day. In the long run, coaching is more impactful and meaningful to sales reps than the training they will receive. Unfortunately, today’s spread out sales teams make coaching difficult. When considering what learning technologies to incorporate into your sales enablement program, make sure a virtual coaching tool and/or asynchronous video role play are on the list. What do sales managers really want? How about one less portal to log into, or one less task to remember to do? Sometimes, trainers launch a new big idea that sounds good in theory but just creates a lot of work for managers in practice. Wherever possible, look for ways to trim down the amount of steps it takes for managers to perform value-added tasks. For example, we recently added a feature to Knowledge Guru that allows managers to receive automated reports on their sales reps’ progress at regular intervals. This way, managers receive data on what their reps know and don’t know that they can use for coaching without having to go to an app or website to access it. Is Your Sales Enablement Sustainable? Most sales training professionals will tell you they are working within a “new normal” these days. 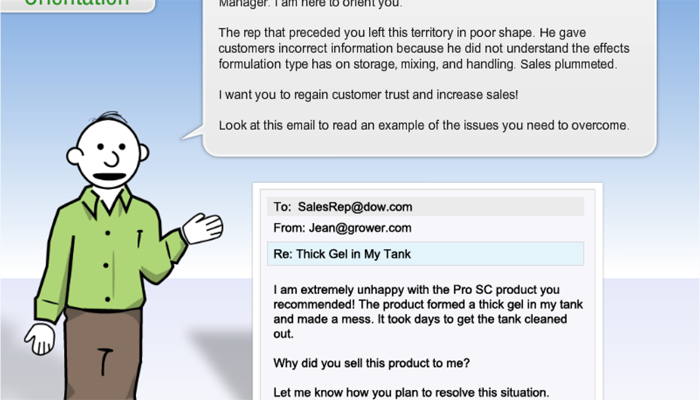 The products they must train reps how to sell grow increasingly complicated. Customers are savvier than ever and often do most of their research before even engaging with a rep. Procurement departments aggressively look for ways to cut costs. Marketplaces grow more competitive as new players enter the fray. And for many industries, the regulatory landscape is harder to navigate with each passing year. Want to learn more about sales enablement? Access a recording of our webinar: Sales Enablement & Beyond: Using Games and Smart Implementation to Drive Performance. The end goal of sales training should be to equip sales reps to be a trusted advocate for their customers. When sales reps partner with their customer and invest in their shared success, the buyer and seller both win. This is obviously a tall order; it demands a high level of dedication from the sales rep and requires that they truly care about their customers’ outcomes. It also demands a lot from the trainers who must prepare sales reps to sell. With such high expectations placed on sales professionals, it’s no wonder that sales enablement has become a bigger focus for trainers. What training and resources do sales reps need to be able to become the trusted partner that customers want? How can important product information, and knowledge of the competitive landscape, be sustained and built upon long after a product launch event or national sales meeting? Unfortunately, many of the sales enablement solutions and strategies organizations use today fall short of their intended goals. They are either unwieldy to access, focused on the wrong information or unresponsive to new regulatory changes. If trainers hope to increase knowledge retention after an initial learning event and engage sales reps with ongoing skill development opportunities, sales enablement tools must be carefully designed and implemented. If your sales reps spend most of their time away from a computer, creating sales enablement tools that are only available on a desktop or even a tablet is a huge miss. 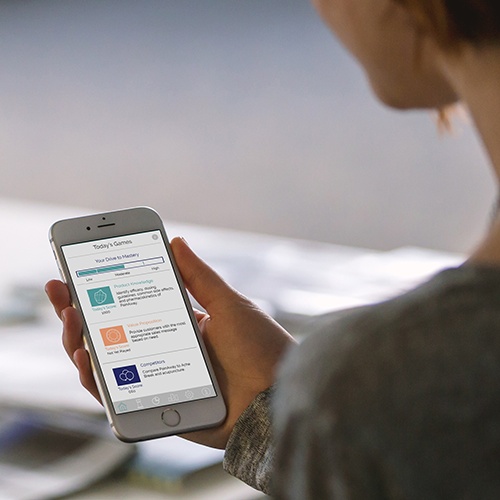 Designing tools that are “mobile friendly” is no longer enough: sales enablement tools and strategies must be specifically optimized for the mobile experience. If your sales reps work in a call center environment, the opposite may be true and they will prefer to access tools from the computer they use all day to sell. No matter where your sales reps spend most of their time, connecting sales enablement tools and resources to the CRM system is ideal. Some sales enablement only focuses on the basic features and benefits of a product. However, customers increasingly need sales professionals to understand their unique pain and partner with them to find the right solution. If you only teach reps how to recite a list of product facts, you really have not prepared them to sell at all. The marketing department will, of course, tell you that uniform messaging is very important. When a product is complex and highly regulated, it is absolutely critical to ensure that sales reps are saying the same things, in the same way, around the world. This is where learning reinforcement stands out as a sales enablement strategy. Many of our clients work within highly regulated industries where the marketplace changes overnight. For example, the Affordable Care Act has caused health systems and hospitals to shift their focus from a volume-based model to a population management model where quality and risk reduction are king. Sales reps who are still carrying around the features and benefits of yesterday are unprepared to meet the needs of their customers, who now care less about volume and more about patient outcomes and reducing readmissions. For this reason, sales enablement content must be continuously audited and tweaked to make sure it encourages the correct behaviors and teaches the right messages. 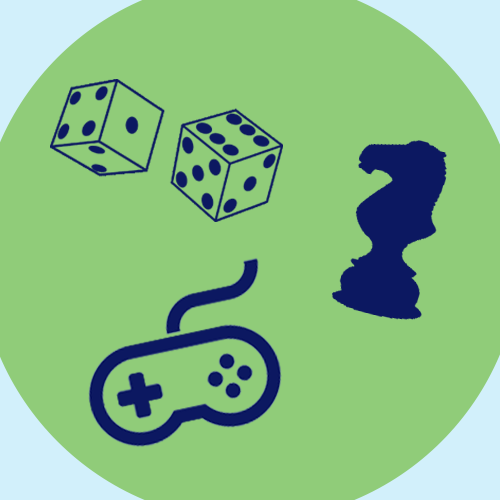 Want to know about using games for sales enablement? Our Primer on Spaced Repetition and Feedback Loops shows how the spaced repetition and feedback in a game like Knowledge Guru can be great for knowledge retention. http://www.theknowledgeguru.com/dev/wp-content/uploads/2015/10/sales-enablement-featured.png 400 400 Steven Boller http://www.theknowledgeguru.com/dev/wp-content/uploads/2018/04/knowledge-guru-by-blp.png Steven Boller2015-10-27 13:33:142016-10-17 17:15:44Is Your Sales Enablement Sustainable? Is Your Sales Process a Second Language Yet? Last week, a colleague asked me what sales process I use. I was at a loss for words because the process I use has become so natural to me that it doesn’t feel like a process. My sales process feels more like a second language… though I’m still working to master it. I strongly believe that this particular process works—I’ve experienced the success it has brought me over the years. Achieving is believing. What about your sales reps? Has your process become so embedded into their vocabulary that it is clearly driving higher revenue? Have they become believers? No? You’re not sure? If they aren’t using a sound sales process or sales language, then they aren’t driving the revenue you could be realizing. 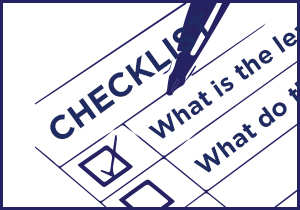 Sandler Rule #20: The bottom line of professional selling is going to the bank. Show me the money! Want to learn more about sales enablement? Register for our upcoming webinar: Sales Enablement & Beyond: Using Games and Smart Implementation to Drive Performance. How do we get sales rep to know the process, use the process (or see results) and ultimately believe in the process? Many organizations I work with are turning to serious games to accomplish this… with measurable results. Before a sales rep has their first conversation with a prospect, the process they need to follow must be known ‘cold’ from memory. Reps generally don’t have the time to consult job aids or resources while they are in the middle of a conversation. Here’s where techniques like spacing and repetition incorporated in an effective serious game can have the greatest impact. Take Cisco for example: Their use of games drove an 86.6% knowledge transfer rate for new sales reps who played. Cisco sales associates cited the use of spaced repetition in the games as pivotal to passing the required certification tests. Spacing and repetition are keys to long-term memory retrieval so that reps can truly talk the talk. Of course, once reps know the process, we must allow them sufficient time to practice the process. This is no different than any sports team: practice and more practice make for a winning team! Games that leverage additional performance challenges within the game allow players to ‘do’ the process (and make mistakes) before they talk to clients. Performance challenges can be particularly effective as reps are able to contextualize the process into their everyday sales world and conversations. Next, back-end analytics included with many serious games allow trainers to identify any knowledge gaps for the group or spot coaching opportunities with individuals. Like getting ready for a big game, the practice will allow reps to feel comfortable with the process and have a clear pathway to success. Then it’s all touchdowns and dancing in the end zone! If reps know and do the process, will they automatically believe in it, too? We often say that a motivated and engaged learner who is rewarded for their efforts can help in this endeavor. 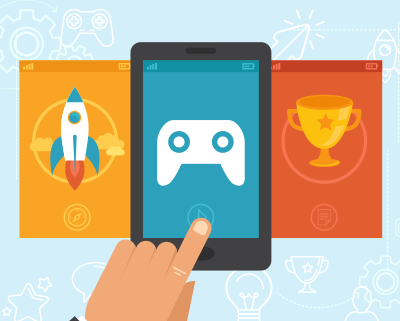 Games inherently engage learners with competitive elements such as status on the leaderboard, badges, trophies and power-ups. These elements motivate players to keep playing… and simultaneously gain confidence with the process. Once confident, reps can sell confidently. And, once they start to see their sales grow, it won’t take a leap of faith to make them believers. Like your sales process, game-based learning can drive measurable results when combined with support from senior leadership. Many companies I work with have large PR campaigns surrounding new game-based learning initiatives. Organizations who require game play, while still offering great prizes and incentives, are more successful than companies who leave it up to decide if they will play or not. If company leaders don’t make the game a priority, neither will your learners. The same will happen with your sales process. If it is optional to know, do or believe in, many reps might leave it at a prospect’s door and revenues could suffer as a result. What leader would be happy about that? With well-trained and confident reps, you will see higher rep performance and increased revenues. Your CEO will be so proud. Looking to make your sales process a second language? See how games can get your sales reps to know facts “cold” with our Serious Games Guide: Four Ways Games Link to Learning. http://www.theknowledgeguru.com/dev/wp-content/uploads/2015/07/Featured-Image-Second-Language.png 1778 1761 Tina Kruse http://www.theknowledgeguru.com/dev/wp-content/uploads/2018/04/knowledge-guru-by-blp.png Tina Kruse2015-07-23 12:48:122016-04-15 15:52:11Is Your Sales Process a Second Language Yet? 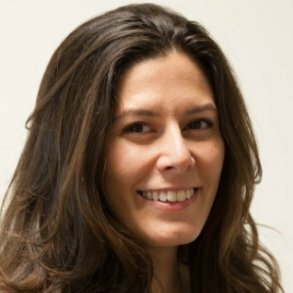 I interviewed Paula Rossini, Global Program Manager at Cisco, to learn more about how Cisco uses Knowledge Guru games to teach its sales associates. Cisco’s sales associate training program (CSAP) has won multiple Brandon Hall awards for its innovative approaches, including a 2014 “Gold” award won in partnership with BLP. Can you describe your role at Cisco? I’m a Global Program Manager. I focus mostly on content development and delivery of different programs within our worldwide sales and partner enablement organization. I focus mostly on new hires and early-in-career employees. The Cisco Sales Associate Training Program (CSAP) is our keystone program along with the Partner Sales Academy (PSA). We also have a new hire acceleration program (SNAP) and a new internship program for university students. What learners do you use Knowledge Guru games with? We first introduced Sales Guru (the name we gave our Knowledge Guru games) games for sales associates and engineers in the CSAP program. It’s used as a reinforcement tool. We now have Sales Guru games for the SNAP new hire acceleration program. While the games are a reinforcement tool in the CSAP program, for SNAP we use it as an assessment tool. You’d think it was daunting to use it as an assessment tool… but SNAP associates already have experience selling, so it’s a more mature audience. They can play the game as often as they want until they pass. How are the games part of a learning solution? What other pieces are involved in the training? In CSAP, the associate goes through synchronous classroom training. This training is taught by a virtual facilitator. The facilitator uses Cisco Telepresence to give the virtual instructor-led training. For example, associates take Data Center as a six-day module. Every day they have 3.5 hours of training, and at the end of Day one the facilitator tells them to play the Sales Guru game in preparation for the next day. There is a schedule posted on the LMS where associates can see exactly when they need to play each game. During each module, associates play part of the game at the end of day one, three and five. There is a frequency by which they are expected to play the game before they do the next one… which is part of how we use the repetition. At the end of every technical module, we have “technical office hours” where the trainer goes through the entire module in summary format. The Sales Guru prepares associates for the assessment they take at the end of the module. SNAP is an asynchronous virtual program. People go through a series of eLearning modules. For most of the technical eLearning modules, they have a Sales Guru game attached to each of them as a final assessment. Was there a challenge you hoped to address by implementing Knowledge Guru games into the curriculum? There are lots of highly technical concepts in the solutions we offer that are difficult to assimilate. Associates struggled a lot to understand these concepts. We felt that, through Knowledge Guru’s use of spaced repetition, we could teach the associates and engineers better. We first launched the game with our toughest topic of all: “Data center.” Little by little, we rolled it out to other technologies. Knowledge Guru is a reinforcement tool for all of the technologies in the program. What do you want the learners to know or do after playing? We want them to be able to assimilate the technical content they learned in the module and pass their technical exam. You mentioned to me that many of your learners are virtual. How have you worked to engage and connect learners with technology throughout the program, and how does Knowledge Guru fit into that effort? We use Cisco TelePresence and Cisco WebEx to virtually facilitate the CSAP training. The Knowledge Guru games are launched from the LMS along with the rest of the program materials. We teach the learners virtually so that multiple locations throughout Europe can all be taught by the same facilitator. What did you do to encourage adoption with players? The success of the game really depends on the involvement of the facilitator who leads the session and the “producer”. The facilitator teaches the learners while the producer makes sure they are paying attention and completing pre and post work. The producer supports the facilitator on WebEx. 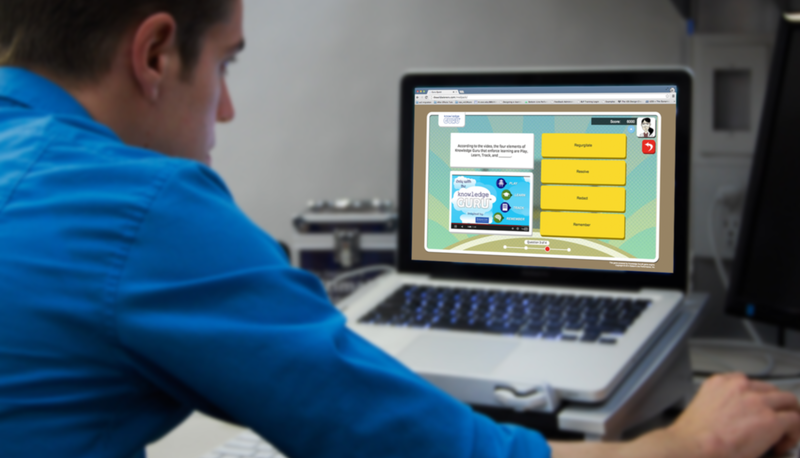 The producer encourages learners to play the Sales Guru games throughout the module. The really good producers have some best practices like leaving the leaderboard up, showing the associates who’s winning, and encouraging gameplay. How did players access the games? Players launch the games from the LMS. During the pre-work, they see what day they need to launch the game. How did Cisco communicate about the games to learners? What results have you produced from the program with the help of Knowledge Guru? We received very positive learner feedback from the Data Center game, so we expanded into other modules. After this expansion, we surveyed associates and found that they rated the game 4.93 out of 5 in terms of its value as a learning experience. They rated the repetition in the game a 4.93 out of 5 and said it was highly effective in helping them retain the content. We receive continuous anecdotal feedback that associates really enjoy the game and that it helps them to understand the content better. They say that it really does help them to pass the exam. While not a direct correlation, we do have a 98% pass rate on the technical exam. What have been the keys to successful implementation for you? Collaborating with Bottom-Line Performance was very important. We had an honest partnership where Sharon (Boller) would tell us up front if she had concerns with how we planned to use the game. That honest collaboration led to success for us. Project management was also important. As soon as we had the green light to proceed, BLP guided us through the process of creating our games. The BLP team helped us hit milestones every step of the way, and it made a really big difference. Now, we are at the point where the games have really become a part of our process, and it’s much easier to create and modify games. The Brandon Hall “gold” award that Cisco won for its use of Knowledge Guru was the second in just a few years for the CSAP program. What do you think sets the program apart? I like to say that, at Cisco, “we drink our own champagne.” Cutting edge technology is really important for us. When we have made mistakes along the way, we have taken those and turned them into lessons learned. We reflect on how we’ve done and take feedback very seriously. Associates and stakeholders in general provide feedback and we take that feedback, change, and go with what makes sense. We continuously evolve, and that is a big part of why we are doing really well. In short, our keys to success are feedback, technology, not being afraid of change, and learning from mistakes. What advice would you give to others on creating their first Knowledge Guru game, or bringing a serious game into their organization for the first time? Start with the end in mind. Understand or identify what they want to accomplish. Based on those learning objectives, you can find out the best way to implement the game. It’s also important to look around and do your due diligence for looking for the right learning partner. It doesn’t need to be a big one. Pick one that fits your needs the best and with whom you can have an honest conversation where the learning partner genuinely wants you to succeed. Don’t just pick biggest partner out there because they are big and reviews are good. Go with one that will meet your requirements. Sales people live in the moment. They need to hit this month’s numbers. They have a demo in 10 minutes. Their manager wants an update on their biggest account. They are paid on commission and they probably do not feel they have time to take your training! Sales people probably have the most single-minded focus of any role in your organization: activities that are directly linked to making a sale are top priority and everything else is just details. As an L&D professional, you know that knowledge and skills are vital to building a successful sales organization. But a sales rep is not paid to worry about the entire sales organization. They are paid when, and only when, they produce results. So reps will be reluctant to invest time and energy into training if it is not directly helping them do their job better. They are eager to learn, but only when the knowledge will directly help them on their next sales call. Wouldn’t it be great if training could be a positive part of that, and not seen as a time waster? Want to learn more about sales enablement? Access our webinar: Sales Enablement & Beyond: Using Games and Smart Implementation to Drive Performance. There is a reason so many of the Bottom-Line Performance clients who ask us to design a custom serious game wish to use it with sales reps. Customers who use our Knowledge Guru platform often create their games for sales professionals, too. Our experience has shown that games are often the perfect addition to a sales training program or set of reinforcement and reference tools. Product launches are stressful, complicated events for everyone involved. Sales reps are often bombarded with new product and technical knowledge they must assimilate quickly before their next customer conversation. Reps might find themselves studying PDFs, Googling information they can’t find or learning about the new product via a PowerPoint deck. Before long, learning about ACME corporation’s new product release feels like studying for a college exam. And there is a very good chance reps will forget more than they remember without proper reinforcement. Our research and client work shows us that serious games provide a much better way to learn product and industry knowledge. With the right instructional design know-how, learning principles such as spaced repetition and feedback loops can be linked to the mechanics of a game that reps can play for just minutes a day as time allows. Therefore, games linked to learning science become real time savers for a sales rep, since the gameplay is designed to help them learn and retain the necessary knowledge. And when the product and technical knowledge is especially complex, sales associates will appreciate games that truly help them learn and remember. Example: Cisco uses Knowledge Guru games as part of their year-long Cisco Sales Associate Training Program. Sales associates average over 3.5 hours of Knowledge Guru gameplay because the games helped them study for their Cisco Sales Certification. Cisco’s game also earned a 2014 Brandon Hall gold award for best advance in sales training online application. Not everyone thinks that competition at work is a fun experience, but your sales team probably does. Most sales reps would probably describe themselves as “competitive.” That’s why they got into the profession in the first place. Games with leaderboards can fuel this competitive drive. They can also create a sense of competition between various locations, territories, or even individuals. Meanwhile, the scores that reps rack up can become informative to managers, showing which individuals or locations have the best grasp of key product knowledge, procedures, and selling skills. Example: Competition through gameplay usually will not end up feeling cutthroat. After playing a Knowledge Guru game tied to a product launch, the ExactTarget (now Salesforce Marketing Cloud) employee from Australia who won “MobileConnectGuru” shared that he had never felt more a part of the team than while playing the game. Games can be as simple as a jeopardy clone with handheld remotes or as complex as a 3D world. Most of the time, business needs call for an experience that is somewhere in the middle of these two extremes. For sales reps, the ideal game-based solution will do more than motivate. Sales reps’ have very limited time… and they will likely want to limit the time they spend on training as much as possible. (Unless that training is directly helping them sell—and earn more commission.) Gaming that can be done in short bursts that helps them learn, study, and retain product features and benefits is ideal. 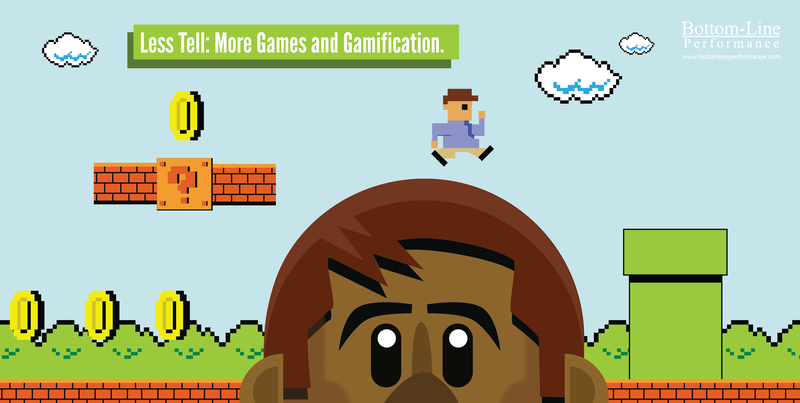 Most serious games offer far more data points than a standard eLearning course. For example, a report that shows learning objective success rate for sales reps in different territories provides far more visibility into what sales reps actually know than a raw completion percentage. You can use this information to provide additional training on the weaker topics to the regions that need it. With relevant, accurate data in hand, you can deploy just-in-time learning bites that help sales reps shore up the key information they need to learn instead of wasting their time with a full-blown course. Of course, sales reps need to do more than simply memorize product information to be successful. In more complex selling situations, sales training is probably a full-fledged curriculum. But it would be rare to use game platforms and templates as the only solution used in a curriculum like this. And they may not provide the necessary context to help sales professionals with higher-level skills. Thus, these situations are an ideal place for custom serious games. 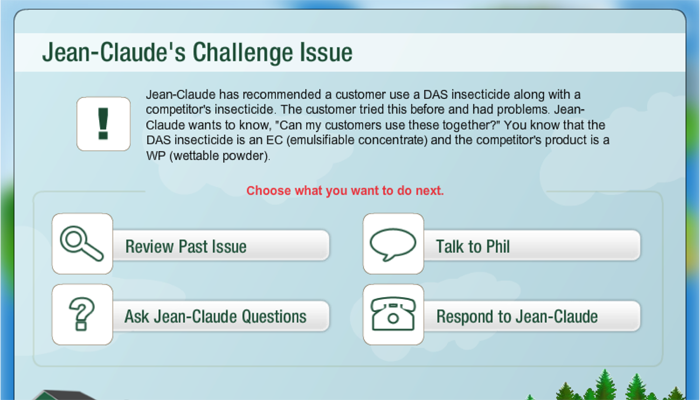 Example: In Formulation Type Matters, a serious game we created for Dow AgroSciences, sales reps enter a fictional territory with five different unhappy customers they must try to place. Players gain and lose sales and increase or decrease customer satisfaction based on their answers to customer questions. As they play, the reps also access a variety of resources and consult their manager, a learning agent in the game, for help. The resources used in the game are the same PDFs they will find and locate on the job.